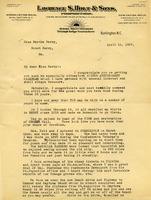 In this letter Erwin Holt tells Martha Berry that the last Spring's Highlander was a success and and that he and Mrs. Holt are doing well. 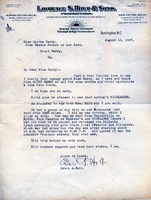 Erwin Holt writes Martha Berry to update her on his activities. He congratulates her on the 25th Anniversary of the school and commiserates over the fire at Crozer Hall. He also pledges to send a $200 donation on April 20.